The Cayenne doesn’t always gel with extreme Porsche loyalists, the sorts of sports car fanatics who would give up air conditioning in order to gain a few tenths of a second around a track. And while the enthusiast fringe may continue to shrug off the sport ute for not conforming to their idea of what a Porsche should be, the latest generation of Cayennes have shed weight, gained horsepower, and made strides in efficiency. 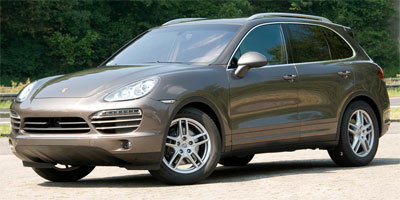 There are a total of four variants to choose from: the Turbo, S Hybrid, S, and base Cayenne. At the leading edge of the Cayenne lineup is the Turbo, a high performance model powered by a twin-turbocharged V-8 that produces 500 horsepower and 516 lb-ft of torque. In addition to the updated exterior and interior styling, the Cayenne Turbo benefits from a new eight-speed Tiptronic S transmission and start/stop technology for improved fuel economy. Truly driver-oriented SUVs are few and far between, and the Cayenne Turbo hits the sport utility performance niche square on the head. Thanks to its razor sharp responsiveness—especially when “Sportâ€ mode is engaged—the top dog Cayenne accelerates with satisfying urgency, stops on a dime, and turns far better than any high-profile, 4,784 pound vehicle has any right to. You’ll pay dearly for the privilege of owning Porsche’s über powerful Cayenne Turbo; starting at $107,100, our loaner’s window sticker grew to $115,470 when all was said and done. As much as we fell in love with the Cayenne Turbo’s mind-bending performance, the sticker shock made the idea of ownership a bit hard to swallow. Iffy rearward visibility and a small rear view mirror don’t help much in the way of confidence; too bad parking sensors are standard, but a rearview camera isn’t. Climb behind the Cayenne Turbo’s leather swathed steering wheel, and you’ll find yourself at the helm of a tall but disarmingly fleet vehicle. 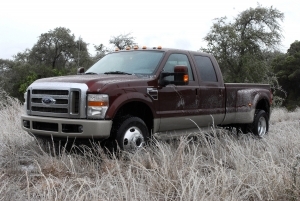 A host of center stack-mounted buttons control everything from suspension stiffness, center differential locking, and ride height to traction control and “Sportâ€ settings. 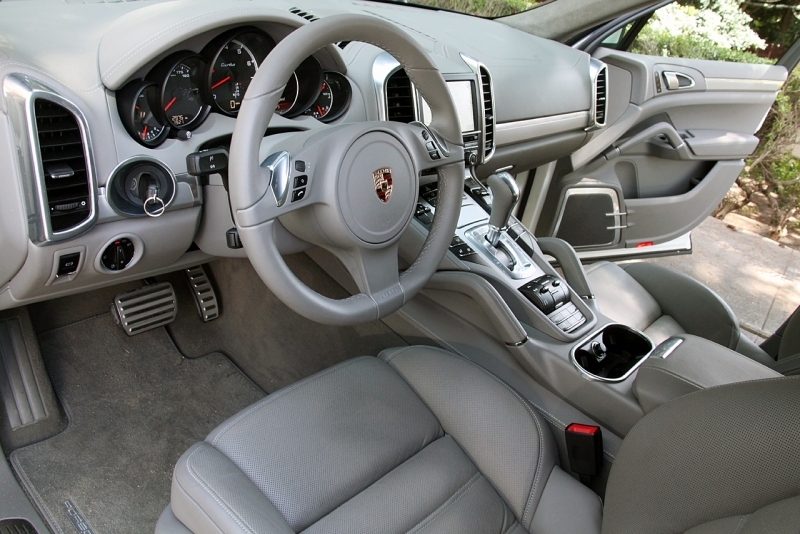 Click the shifter into “D,â€ and acceleration is swift and effortless; zooming from 0 to 60 mph takes a mere 4.4 seconds according to Porsche’s typically conservative estimates, quicker than their venerable 911 Carrera S.
Even more eye opening is the Cayenne Turbo’s on-road behavior when in “Sportâ€ mode; throttle response is noticeably sharper, and the smooth-shifting eight-speed Tiptronic S transmission works more diligently to find and hold the most aggressive gear. Handling feels remarkable considering the Turbo’s large footprint, and any complaints about the relatively firm ride (especially when in the road-hugging “lowâ€ position) are quickly dismissed when this plus-sized SUV pirouettes daintily across twisting stretches of tarmac. The direct-injected, twin-turbocharged and twin-intercooled V-8 is a holdover from the 2010 model year, but this mill is mated to Porsche’s new eight-speed Tiptronic S transmission, which yields improved fuel economy figures. The 4.8-liter engine produces 500 horsepower and 516 lb-ft of torque, which are managed by Porsche Traction Management, a system which uses a multi-plate clutch, brake differential and anti-slip regulator to distribute power to all four wheels. For all of its high-tech features, the Cayenne’s most impressive advances pertain to its fuel economy. If you didn’t think a 172 mph SUV could balance both seat squishing performance and reasonable EPA figures, think again. Thanks to maximum torque that’s available starting at only 2,250 rpm, the direct-injected and twin-turbocharged V-8 doesn’t have to work very hard in order to achieve forward motion. This Cayenne’s easy nature is abetted by the eight-speed transmission, which always manages to make the engine look like it’s not working very hard. All in all, the Cayenne Turbo’s fuel economy figures of 15 mpg city and 22 mpg highway are commendable, especially considering its near supercar levels of performance. The 2011 Porsche Cayenne Turbo comes stocked with a lengthy list of performance features, including air suspension and massive six-piston front brakes, but surprisingly, many of its creature comforts are not standard. Adaptive cruise control ($2,490) and active suspension ($3,510) are optional, as are all manner of leather trim packages (from $855 for a hide-wrapped steering column casing to $2,505 for leather air vent slats—we kid you not). Copious wood and carbon fiber packages can also be added, as can a rear entertainment system and backup camera. And of course, there are plenty of appearance options available on the Cayenne Turbo, from special colors to trick wheel/tire combos. The turbocharged Cayenne is loaded with high-tech drivetrain features, including electronically adjustable and self-leveling suspension, available torque vectoring, and of course a high-output engine with all the go-fast goodies—direct injection, variable valve timing and dry sump lubrication. A full cadre of stability management systems work to keep the Cayenne Turbo out of harm’s way, with a braking system that applies stopping power to individual corners as necessary, and uses the brakes to help steer the car when its intended path is not achieved. 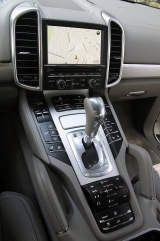 Like its sedan stablemate the Panamera, the Cayenne Turbo benefits from a nicely finished cabin that lends a mature, cockpit-like demeanor to the driving experience. 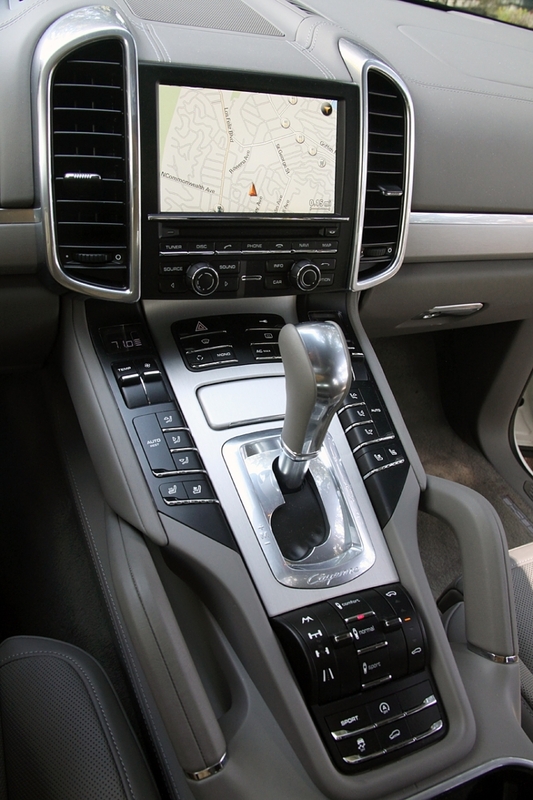 Buttons along the center stack flank the shifter, while a 6.5-inch color touch screen manages navigation and audio controls. While the standard 14-speaker, 410-watt Bose sound system is certainly adequate, the 16-speaker 1,000-plus-watt Burmester package ($3,990) blew us away with its power and clarity. Our tester was outfitted with the Turbo’s standard leather trim and Alcantara-lined headliner, which merge to form a comfortable cocoon that’s accommodating for hours on end—making this a supremely capable steed for long road trips. Cargo capacity measures 60.2 cubic feet when the rear seats are folded down. 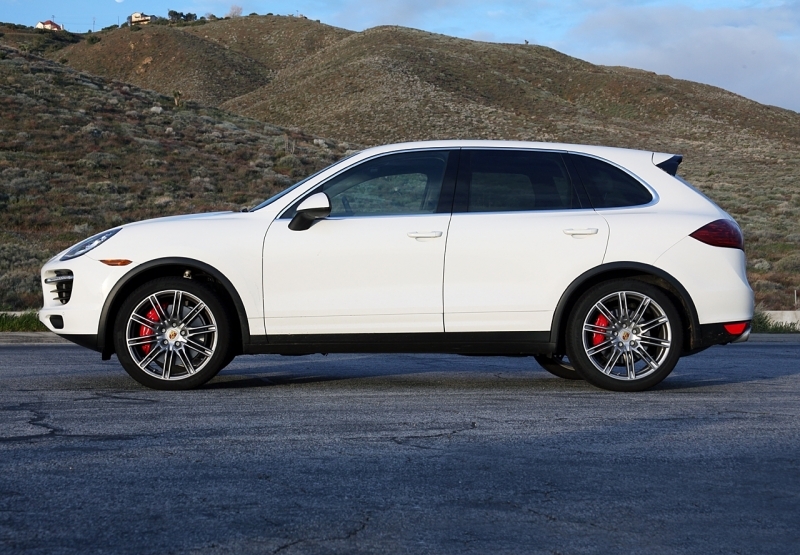 The Cayenne Turbo’s taut exterior proportions are a fitting indicator of the car’s performance-minded demeanor. From its LED running lamps to its domed hood, high beltline and subtle wheel well flares, the Porsche Cayenne Turbo conveys a sense of muscular restraint. 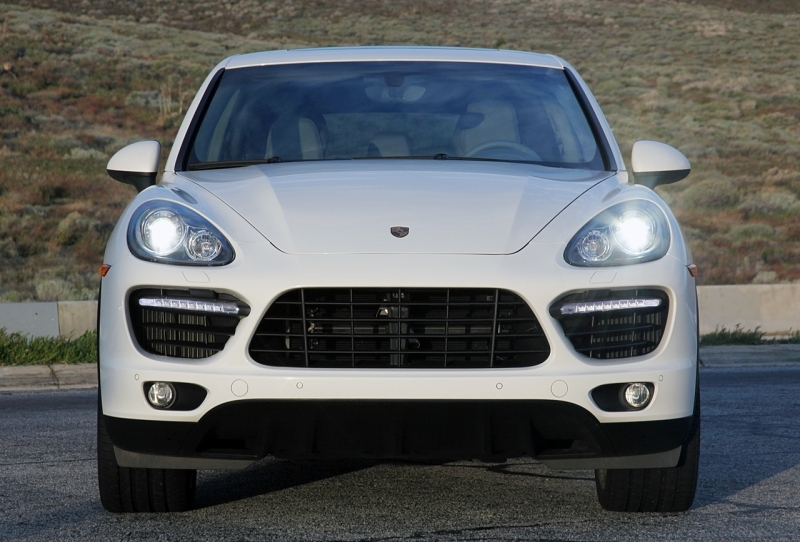 The Porsche Cayenne Turbo is among the pricier of the performance-oriented SUVs on the market. The BMW X5 M, with its beefier 555 horsepower powerplant (but more massive 5,368 pound curb weight) starts at $86,400—a full $20,700 less than the Porsche. The 510 horsepower Range Rover Sport Supercharged starts at $75,395, though its hefty 5,709 pound curb weight puts it at a performance disadvantage in contrast to its German competitors. And as for the other challenger from Europe—the AMG-powered ML-Class Mercedes-Benz—we’ll have to wait on that one, as a new model hasn’t made it to showrooms yet. If money were no object, we’d find it nearly impossible to resist the charms of this six-figure SUV. The 2011 Porsche Cayenne Turbo is refined, comfortable, and—most crucially, unapologetically sporty. This is an SUV we wouldn’t mind road tripping across the country in, while stopping at autocross courses along the way. And while it won’t win any fuel economy competitions, given its stratospheric levels of performance, the Cayenne Turbo’s weight loss and efficiency improvements strike an incredible balance between tire sliding athleticism and sane intervals between fillups.